Everyone has a situation in life. We stand at the crossroad and cannot decide which path to take. When we don't know what to, we can just stop and take a moment to reflect. The only thing we should remember is that we should go with our heart. This path may be difficult, but it will give us more opportunities and let us closer to our dreams. 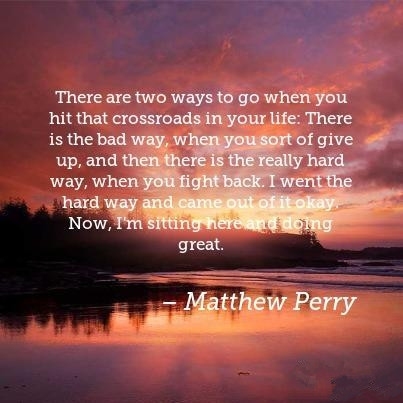 So if you don’t know where to go and what decision to take, read these quotes about crossroads and listen to your heart. There are so many crossroads in life. Life always has the point where you have to make a choice. Among the two paths, which one will you choose? You may make the right decisions only if you listen to your hearts. There are moments in our life when we need to make a choice between the future and the past. Sometimes it’s ok to turn around and go the opposite way. Nobody will ever point the right road for you. Before making an important decision in our life, we need to think all over carefully and consciously. You should know the truth that life is full of crossroads. Sometimes, the hard one can bring you most. May human beings make a right choice. Being at the crossroad is not easy, but you should stay calm to make the right decision. Give up or move on? It is up to you. Don’t become desperate at the crossroad, keep calm and patience. Just go the path that you have chosen spontaneously. Never give up no matter what kind of difficulty you suffer. When standing at the crossroads, your fears often distract you from a right choice. Crossroad is an essential part of life. Making a new decision at crossroads may be hard but it can lead you to a better situation. When you don't know how to choose, just stop and take a moment to reflect. We meet people on crossroads. They may travel with us for a while, but everybody has his or her own way to go. It is easy to overcome difficulties in life when you know your direction. It becomes harder when you need to choose your direction first. Some quotes about crossroads just tell us that: Follow our hearts to make a choice and it may bring us great changes. Sometimes the right path is the hardest one. Remember that each decision you make not only has an impact on your life even on the life of your future generations.